Who wouldn’t want to dive in the Maldives? 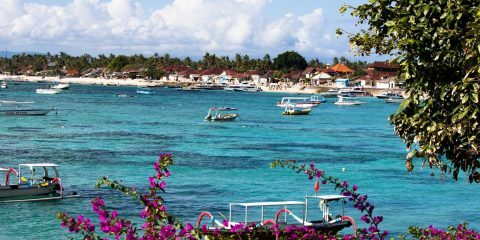 This island chain is the ultimate dive destination for those who love to explore the warm waters of the Indian Ocean in search of wonderful marine life. From manta rays to great pelagic fish to thriving coral reefs, the Maldives is paradise. 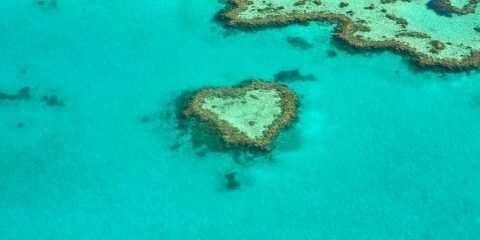 Why scuba dive in the Maldives? 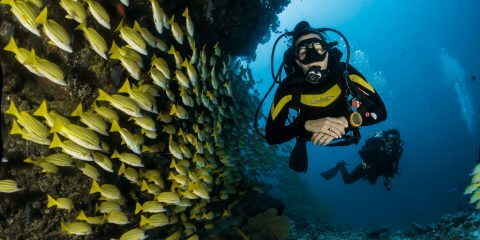 Best time to dive in the Maldives: The Maldives offer great diving all year long, though the cyclone season spans from May to October, with July and August being the worst months, weather-wise. The best time to see manta rays in the Maldives is between November to April if diving in the west, and May to October if diving in the east. You can see whale sharks in the Maldives all year long though the best time is between August and November. 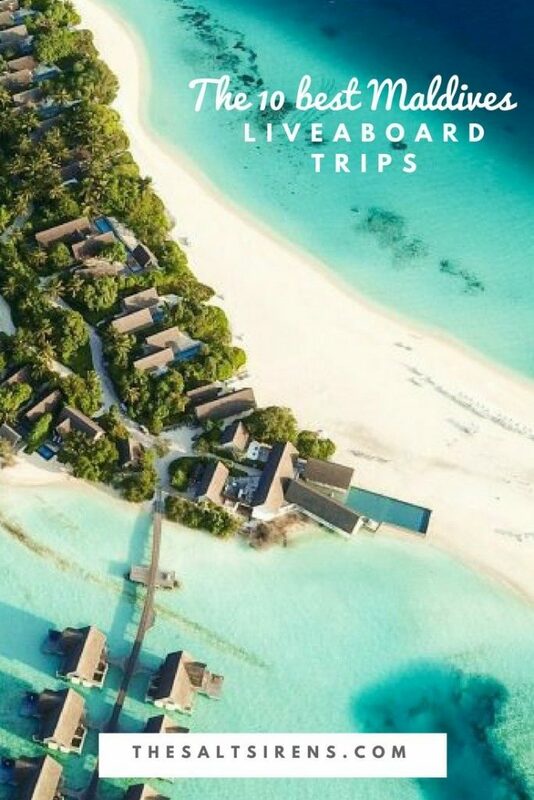 Dive ability: Most liveaboards in the Maldives welcome divers from all abilities — though some do require an advanced certificate for deeper dives. What you can expect to see on a Maldives liveaboard trip: The Maldives hosts some of the world’s largest and most majestic fish like yellowfin tuna, whale sharks, manta rays, turtles, and more. While there’s plenty of macro life to enjoy, most divers venture here to take advantage of the bigger creatures that call the waters of the Maldives home. 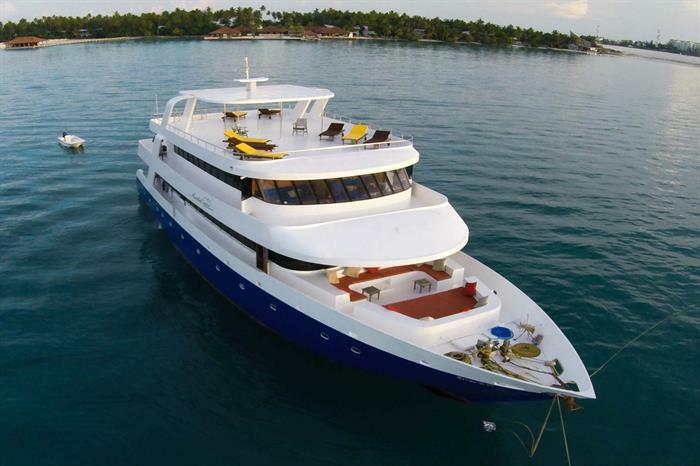 Why choose a Maldives liveaboard trip over a land-based dive trip? 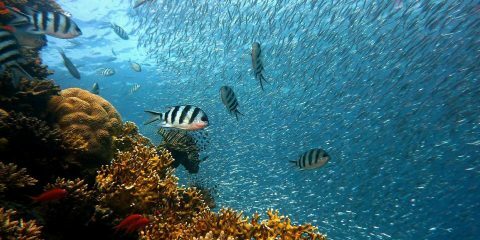 : Shore diving or diving from a hotel will severely limit your experience of diving in the Maldives. Many of the islands and atolls in the Maldives are uninhabited or only accessible by boat. Diving from a liveaboard is the most convenient (and likely affordable) way to see a variety of the islands’ best sites. 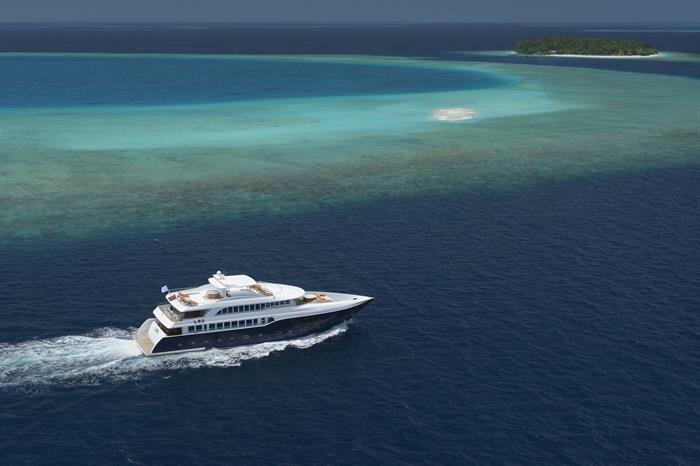 The tropical island destination of Maldives is well known for exceptional liveaboard diving at all times of the year. The Maldives Aggressor II was built in 2009 and renovated in 2012. 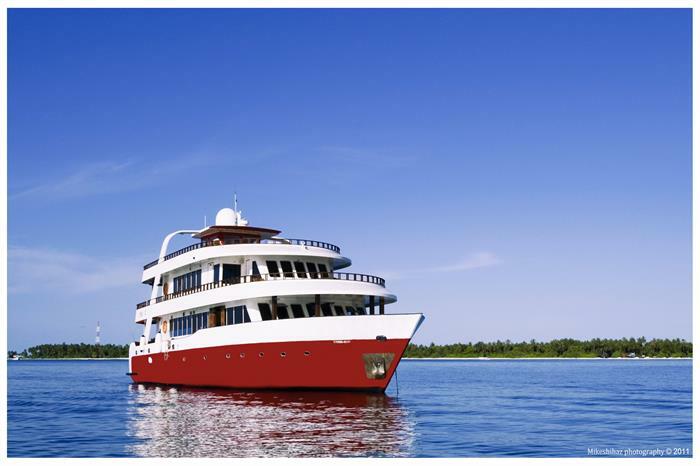 The eleven elegant staterooms, with portholes and picture windows, can fit 22 enthusiast divers wishing to explore the warm waters of the Maldives, with all material comforts at their disposal. Divers can choose between single, double, and king size bed configurations. 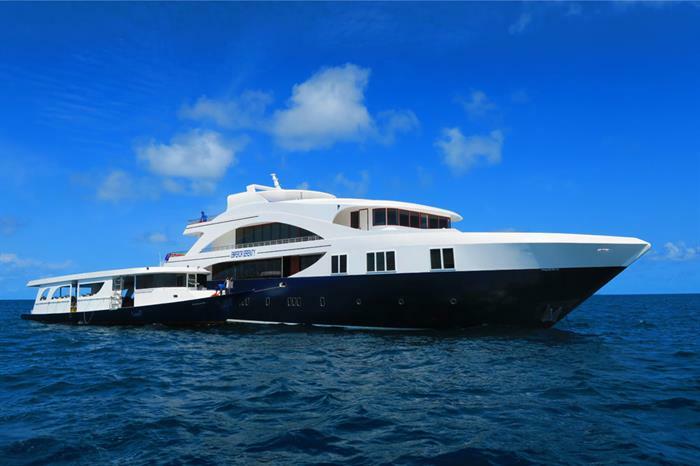 To add to passenger comfort, the stable Maldives Aggressor II has a spacious sundeck, Jacuzzi, lounges, wet bar and video entertainment in the main salon. There are also three camera tables and two outdoor showers. As far as food is concerned, the cooks onboard prepare hearty American and Maldivian meals for divers. While local wine and beer are complimentary, divers will pay extra for spirits and extra drinks. 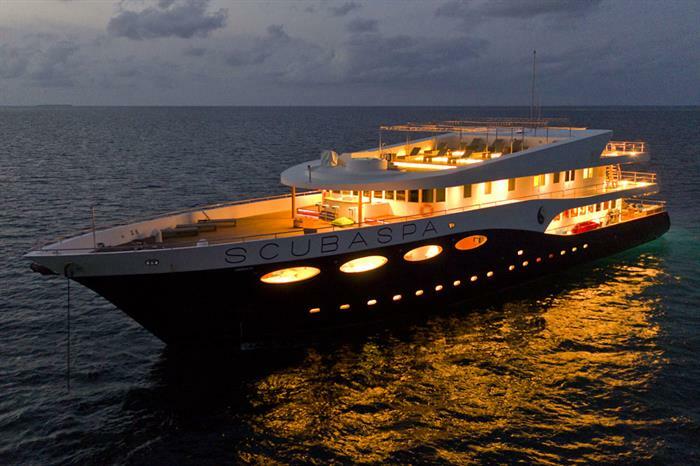 Built in 2013 and renovated in 2015, the massive 50 meter long Scubaspa Yang can accommodate 38 guests at a time in nineteen deluxe cabins. Choose between cabins that are twin, double, or triple bed options. Each bedroom comes with an ensuite bathroom, port lights, and a mini safe. Many also come with a mini bar. One cabin is equipped to cater to mobility impaired guests. 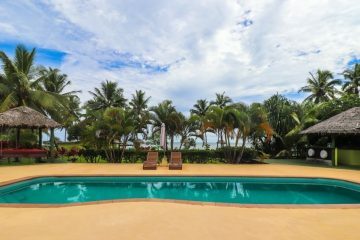 In between dives, guests can kayak, snorkel, practice yoga, and go on land excursions. 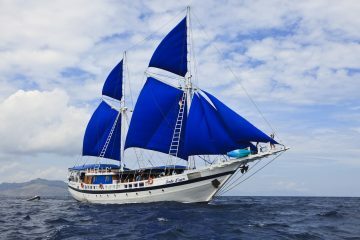 Nitrox is included in the price of each liveaboard trip. The Scubaspa Yang is one of the best liveaboards in the Maldives for couples and honeymooners — thanks to its heavy emphasis on privacy and relaxation. There is a 5-star spa staffed with six professional spa therapists on board. 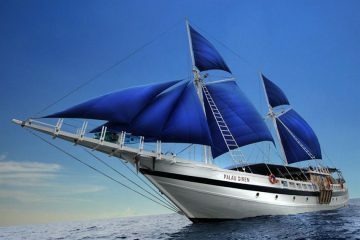 Maldives Blue Force One takes divers to far-out dive sites where few other liveaboards venture to. This plush 42 meter boat is a part of the stunning Blue Force fleet and was introduced in 2013 primarily to sail the waters of South and Central Maldives. The eleven well-appointed cabins of Maldives Blue Force One are custom built to pamper 22 divers and non-divers in its dive cabin types that all include air conditioning, a 32″ TV, ensuite bathroom, hair dryer, and remote-operated light system. 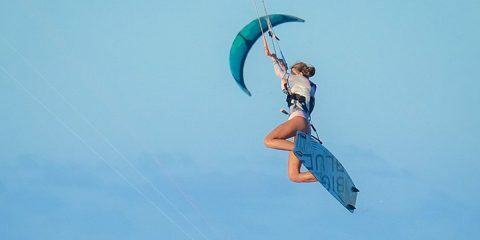 Leisure activities include relaxing in one of the two Jacuzzis, spending time on the upper deck bar, hanging out in the lounge, and going for a paddle with the kayaks and paddleboards. 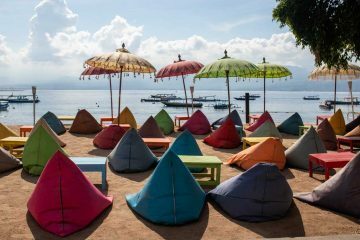 It’s one of the best liveaboards for groups of divers and non-divers traveling together because of the variety of activities on offer. The liveaboard provides free Nitrox and is happy to accommodate rebreather divers. Tea, coffee and snacks are available at all times, while the main meals consist of local and Western cuisine, prepared as per the requirements of the guests and served buffet style. Built in 2016, the MV Emperor Serenity has been a popular liveaboard pick for those who want a trip that is as charming as it is luxurious. At 40 meters long, there’s plenty of space for 26 guests who stay within 13 cabins — all of which are a five star standard. Guests can choose between double and single bed rooms and each room comes with a TV and hair dryer. Spend your time on the MV Emperor Serenity stargazing and sunbathing on the spacious decks. The upper deck features an open viewing area while the main saloon comes with sofas, tables, and an entertainment system. The chefs onboard the MV Emperor Serenity serve three meals per day buffet-style as well as snack in between dives. They are happy to cater to vegetarians and other special dietary needs upon request. Dinners are complemented with a glass of wine while there are other drinks available on payment. 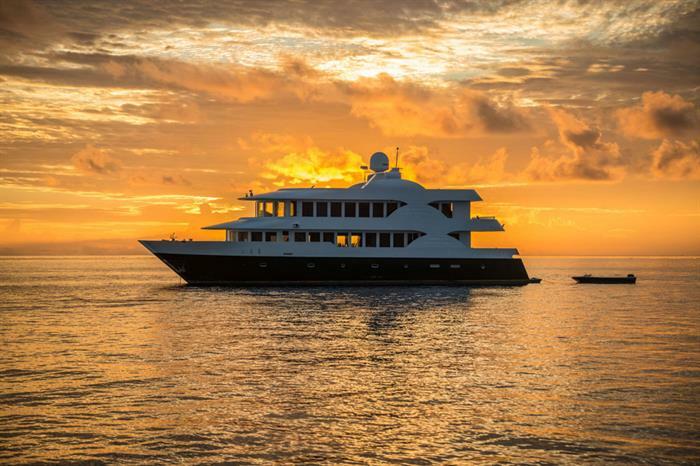 For a sublime diving vacation, many opt for the super sleek Emporer Virgo. 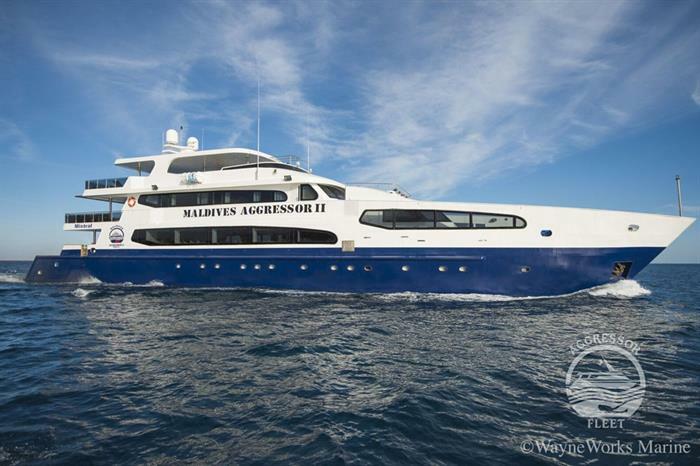 At 32 meters long, this jewel of the Emperor fleet takes 18 guests on a liveaboard trip to most of the Maldives’ major diving hotspots. 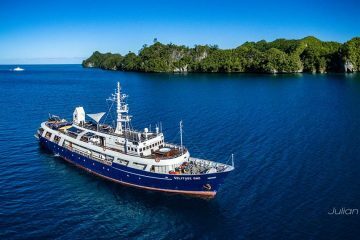 The Emporer Virgo was built in 2012 and underwent total overhaul in 2017, making it one of the most modern liveaboards to cruise through the Indian Ocean. The dining room is spacious with a bar and entertainment system. On top of the deck, guests can grab a drink from the main bar and sunbathe on the deck’s comfortable chairs. Superb Western and Asian meals are served buffet style, and the chef ensures that food is fresh and varied at all times. Vegetarian options are available, while wine, spirits and cocktails come at extra cost. Crafted in 2010 and renovated in 2014, the 36 meter long floating luxury liveaboard, MY Duke of York sets an example in diving comfort in the Maldives. The ten lavishly appointed cabins can take a maximum of 24 guests, which are well pampered by the 16 member strong crew onboard. Needless to say, the sleeping quarters are spacious, have large windows and all amenities replicated as in a land based luxury property. A large air-conditioned salon, with TV and fully stocked bar, offers a welcome respite after a day spent under the sea. Allow the special massage and body treatments to heal your aching limbs in the ayurvedic spa. When on land, excursions can be arranged, as are snorkeling and fishing sessions. Food plays a crucial role on the Duke of York as the knowledgeable chef is aware of the nutritional requirements of the divers. Delicious Italian and local food is on offer during major meals, while a varied snack menu is available all day long. Special dietary needs are attended to. A wide selection of beer and wine is also available on payment terms. 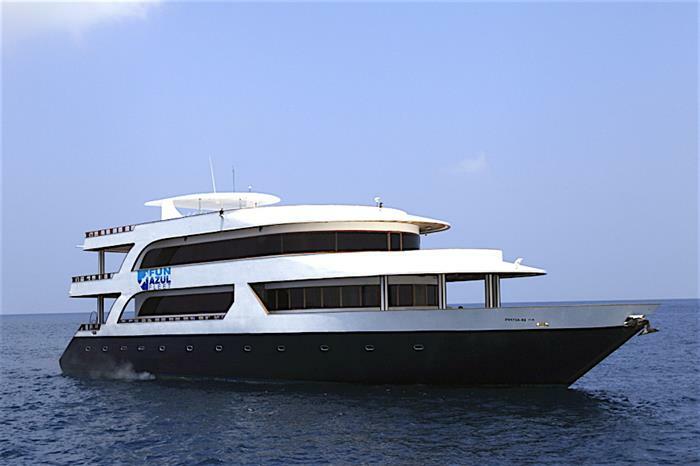 The MV Ari Queen offers year round dive trips to some of the most famous atolls of Maldives. The 2008 built and 2014 renovated, 33 meter long vessel, accommodates 24 guests in the 11 deluxe cabins with some equipped with a 32″ TV, air conditioning, and private bathroom with hot water shower. When through with the underwater action, guests can watch TV in the spacious air-conditioned lounge and share pictures of their trip with friends and family back home thanks to the onboard WiFi. 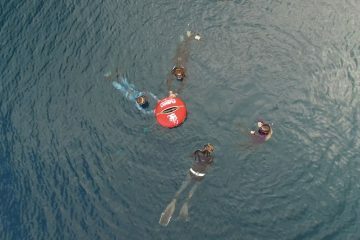 Or, simply chat with fellow divers over a cold drink at the bar. A shaded sundeck offers a place for rest, while shore excursions and snorkeling can also be arranged at no extra charge. Meal times are taken very seriously on the Ari Queen and the fifteen member crew and the chef all play an important role in providing the best of local and international delicacies to the guests. A sunset dinner on an island beach offers a fitting finale to the honored guests at the end of an unforgettable diving holiday. The Mata Cruise was commissioned in 2006 and has since been maintained in 2010 to add extra comfort to any passenger onboard. With an expert cruise leader, this 33 meter long monohull yacht can meet all requirements of its 18 guests in the charming 9 cabins, each if them a class apart in standard of convenience and luxury. While one can take it easy on the upper and lower sundecks, an audio and video center is available in the main salon. Library, internet and games add to the social charm of the liveaboard. During the liveaboard trip, guests can be well assured of being fed some of the best and freshest food, both of international and local variety. Snacks and beverages are available in between meals, while beer, wine and spirits can be purchased. Halal and vegetarian choices are provided on prior notice. Commissioned in 2009 and relaunched in 2013, the Fun Azul Maldives occupies a position of pride on the liveaboard front of the Maldives. The 20 guests hosted in e 10 cabins are carefully attended to by the eight crew members and the three dive guides. The main attraction is that passengers can choose from seven itineraries with varying budgets, a facility offered by few other operators. Apart from the luxuries, the Fun Azul Maldives has a jacuzzi, wet bar, salon with in-house TV and DVD entertainment. For those who prefer dry land every now and then, a BBQ dinner on a secluded island can be arranged upon request. Tasty and varied meals are the hallmark of the food service on Fun Azul Maldives as nutrition is supposed to form a crucial part of any diving holiday. Sumptuous spread is provided on the tables at meal hours, while coffee, tea, and snacks are available round the clock. Alcoholic and non alcoholic beverages are available on purchase. 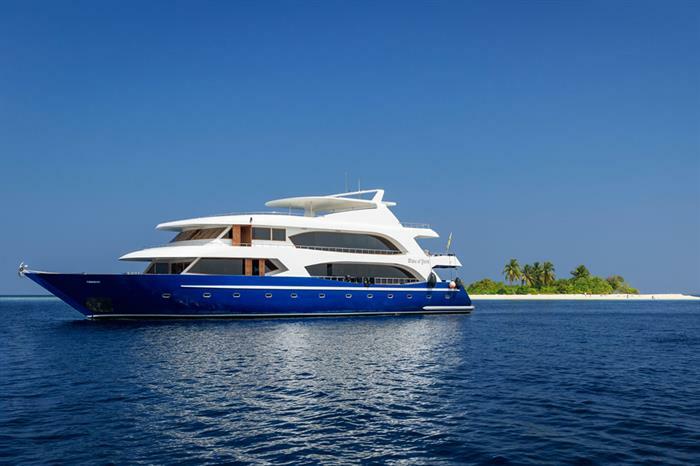 The Theia, at 30 meters long, caters to just 16 divers, making it one of the more exclusive liveaboard experiences in the Maldives where divers can expect to have a very high standard of service. 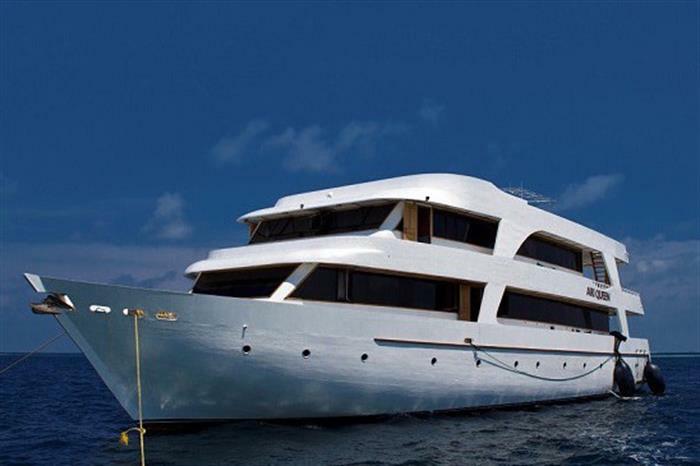 Built in 2006 and last renovated in 2010, the boat was designed to keep luxury and comfort in mind while designing the eight cabins — which are more spacious than most liveaboard ships in the Maldives. Each room comes with a double bed and private bathroom, though most also feature an extra day bed. A fun bar and lounge with all the usual entertainment facilities offers a good communal area. Plenty of space is there on the sundeck to lounge and watch the stars in the sky with a drink in hand. Food is served on the main deck and the chef and sous chef ensure that new and fresh dishes are prepared each day to satisfy the taste buds and energy needs of the divers. The snacks between meals are equally delicious and can be eaten at any time of the day.